There’s a lot more to the annual seniors festival than just having a good time. It’s true fun is a big part of the festival program in Macarthur, but so is learning new skills, including mastering computers and the internet. Starting in a couple of days – the 2019 Seniors Festival runs during February 13-24 – it also includes concerts, drawing and tech workshops, art tours, socials and therapy groups, free film screenings and readings, among other activities. 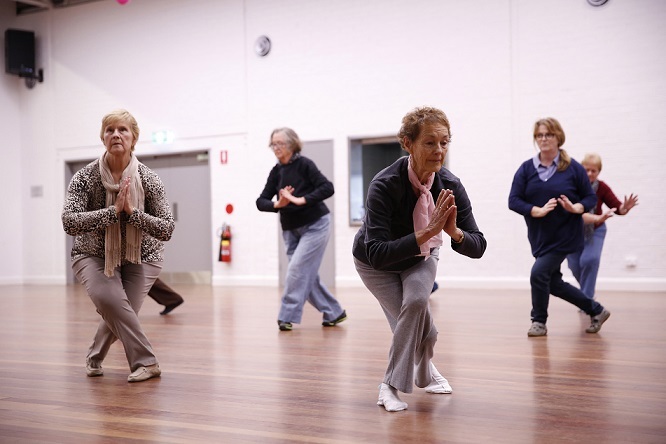 Campbelltown seniors will also be able to get free access to pool and fitness classes during this year’s festival. New members can get a fitness and aquatic pass to Campbelltown Active facilities for seven consecutive days. Classes in the pool include gentle exercise, aqua fitness and pilates, while there are a range of exercise machines available in the gym with certified instructors on hand to provide support. “As all of us grow older it’s important to pay attention to our health by getting the right level of exercise,” says Mayor George Brticevic. “This is an opportunity to try out our health facilities for free and make them part of your plan to improve your lifestyle. It’s good for both the body and mind, helping to reduce illness and improving your mood,” he said. 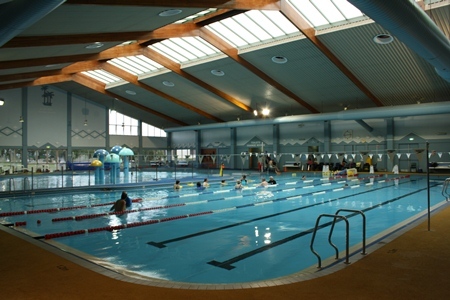 The facilities at Gordon Fetterplace Aquatic Centre, Eagle Vale Central, Macquarie Fields Leisure Centre, pictured, and Macquarie Fields Fitness and Indoor Sports Centre are all wheelchair accessible. To be eligible for the free pass you must be over 60, or an Aboriginal or Torres Strait Islander over 50, or someone over 50 with a lifelong disability. Identification is required. And now for a bit of learning as part of the festival offerings … budding silver surfers can learn how to use computers and the internet during this year’s Seniors Festival. A series of five sessions will provide technology training on using computers, the internet and email, as well as information on cyber safety and introducing people to the NSW Seniors Card website. “Being able to send emails or hold discussions with people over social media is a great way for our older residents to stay in touch with one another and with their families,” says Mayor Brticevic. “While new technology can sometimes feel daunting, the benefits of understanding how to use the internet can open up a whole new world for those who may feel isolated. “It is important to understand the pitfalls and how to stay safe online. So these courses provide a great basic introduction to the digital space and really demystify the process,” he said. The sessions will be held from 10am-12pm at Eagle Vale Central Library on Tuesday, February 12, 19 and 26 and March 5 and 12. All sessions during the festival will be conducted in English, but future courses are planned in other languages in coming months, including in Mandarin during April – May, at the H J Daley Library, and Hindi, during June, at Glenquarie Library. Places are limited so booking is essential. You can book by calling the library on 4645 4444. 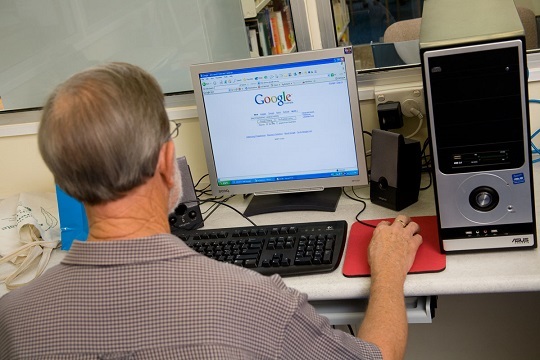 Campbelltown City Libraries also run regular information courses on digital technology as part of their IT and Biscuits and Be Connected programs throughout the year.